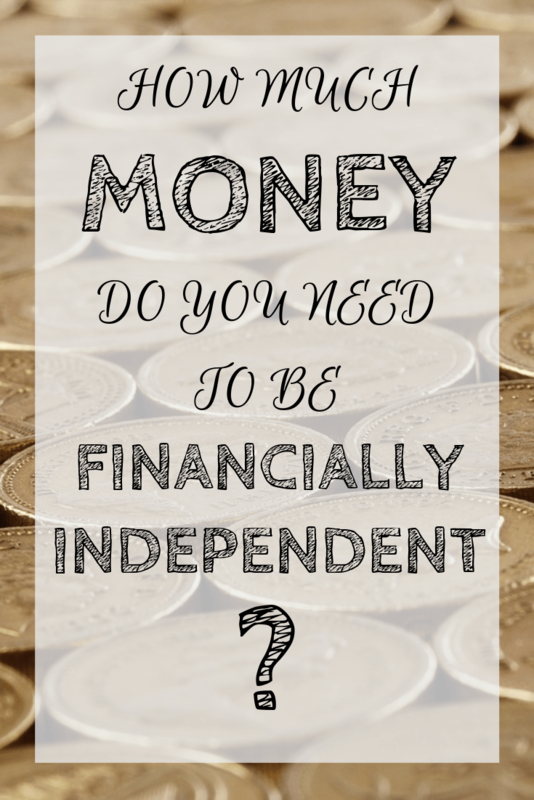 What Does Financially Independent Mean? Financial independence means you can make decisions about your life unencumbered by concerns about how you will earn money while you live it. The important thing to note in the definition above is that there’s no talk about an end to work. While that may be the objective of some of us, the people I know who have the funds to be idle for the rest of their days are among some of the most hyperactive and productive people I know. They launch businesses, hold senior positions in global firms, produce insane quantities of writing and demonstrate more discipline in their daily life and routine than sometimes seems reasonable. There’s reasons for that, which I’ll go into in a later article, and involve the character traits that make people succeed at being financially independent in the first place. So financially independent means that I know, should I stop working tomorrow, that I could comfortably continue my current lifestyle indefinitely without worrying about money (but also without increasing my real expenditures). How Do We Define That In Money Terms? Simple: Enough money that you couldn’t run out of it while living the way you live today, even if you never earned another dollar/pound/yen/euro until the day you died. That doesn’t mean you run down your capital though. Financial Independence involves investing your funds wisely. Brace yourself, here come the numbers. The magic numbers here are 25 and 4. You need 25 times your annual expenditures to survive indefinitely assuming a 4% withdrawal rate from your investment accounts. That means that you take 4% out from your pot of money every year, so if your annual expenditures were $75,000 you would be taking that out every year and your total investment pot at the moment you declared (in the silence of your own mind, thank you) financial independence would have to be $1.875 million dollars. 4% is known as the Safe Withdrawal Rate and it is not a number that was guessed at or arrived at by weird community gestalt. It’s a number with a fair amount of scientific analysis underpinning it. Assuming your expenses don’t increase, that is. Why is the 4% rule so trusted by this entire community? The community – which has a broad variety of opinions within it – coalesced around this number because research backs up that this is a very same withdrawal rate even if you take the worst possible historical scenario into account. Another version of this scenario is that the market grows at 7% per year but inflation is below 3% per year. Here you find that over time, the real value of your total investments continues to increase even though you’re no longer earning any new money because it earns interest, dividends and capital gains faster than you’re withdrawing money from the pot. Basically, you continue to grow your wealth without even making an effort. … and we assume inflation is 3% per year. These are reasonably likely assumptions as they reflect the average of history taking into account the bad times as well as the good. In this case, your pot of money grows at 7%, but inflation (the constant increase in the price of all things) is at 3%, which means your real growth in value, in terms of the purchasing power of your cash, is only 4%. In this case you will still be holding the same real value of assets when you die as you do when you pass the threshold of financial independence. … or inflation is over 3%, or you stop working immediately before a major stock market reversal. In this case, the real value of your portfolio will take a major hit over time. However, even in this scenario, you have enough to live off for the rest of your life. The only difference is that there won’t be much left for your descendants to inherit. Most attacks on this financial math aim at the market assumptions and argue that there’s lots of problems with assuming there won’t be a black swan event between your “retirement” and the end of your life. In fact, the math takes this into account as much as is possible by using historical numbers that include all of the black swan events from stock market history. If you think about it, even major reversals look small in the rear-view mirror of history, once we have enough distance. We’re talking about an investment measured over decades, not months. When you’re working, building your investments and concentrating on frugality as a means to reaching your financial independence threshold, you’re disciplined and careful about money. You also have a limited number of things to spend that money on, since ma y of your waking hours are spent earning it. If, when you reach your threshold, you trigger a major lifestyle shift, that will make the historical measurement of your cost of living inaccurate. If you fill your now-empty hours with travel and culture and restaurants and luxuries, your costs are going to increase suddenly and violently and your previous estimate of your financial independence threshold will have been wholly inaccurate. In reality, people don’t suddenly go to an aircraft show and buy their own private jet. Most pass the FI threshold, treat themselves to a glass of champagne and keep going. They do this because they enjoy the activities they’ve built that got them there. Getting to FI is not supposed to be misery and heartache, it’s supposed to be fun! In fact, the finances can even go the other way. If you had a job and you reach this threshold, you may decide to do something less remunerative afterwards, or perhaps even nothing at all, but you’ll also likely stop paying for the morning commute, the relentless coffees to keep you going, the accommodation that happens to be near your place of work so you can minimize the effort of getting there. There are upsides to living the slow life!